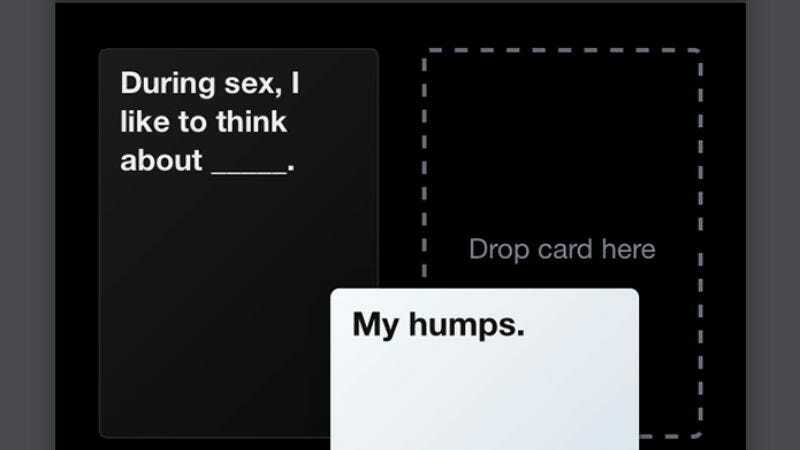 Cards Against Humanity has long depended on a steady supply of people who are ready to seek out the most deliciously inappropriate question-answer card combinations, and the cards on which those unholy pairings are printed. While blank card templates have long been available for creative types, Cards Against Humanity has generally relied on actual cards for game play… until now. Gizmodo brings news of Cards Against Originality, which collapses the original deck and all five expansion sets into an easily accessible web app. The Humanity remix alleviates the need for a physical deck of cards (suggesting it could also be called Apps Against Cards if you wanted to get cute). Fortunately, it does require the players to be in the same physical room. Playable on computer, tablet, or smartphone, Cards Against Originality is free to use, per the conditions of Cards Against Humanity’s Creative Commons license. Still, if you find yourself enjoying competing to find the best-worst answer to “Why do I hurt all over?” feel free to give your personal karma a boost by purchasing an analog deck.